I now realize that my mistake was trying to make buckwheat bread look like my regular loaf of wheat bread. Each time I made it I messed around with the dough until it had the same feel like the wheat dough but when it came out of the oven it was always either too dense or too bitter. Finally, in a fit of clarity, I asked myself how would my grandma go about baking buckwheat bread. Well, first of all, she would have laughed at the idea of using a bread pan. She would have used something like a cookie sheet for baking (I ended up using a pizza stone). And she would probably use something flavorful to cover the buckwheat bitterness. Voila! 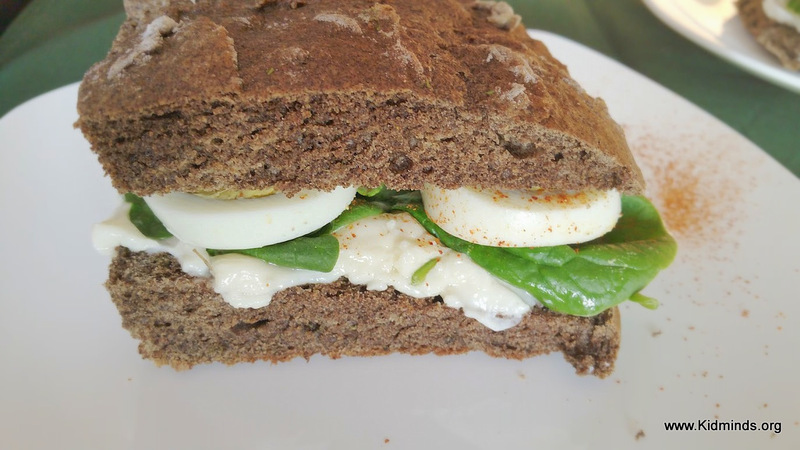 Now my buckwheat bread comes out right every time. It’s actually our favorite bread right now and even kids ask for it. This is one bread you can feel good about eating. It has protein. It’s gluten free. And it’s high on all the good stuff like manganese, magnesium, copper, fiber, and phosphorus. One word of warning. 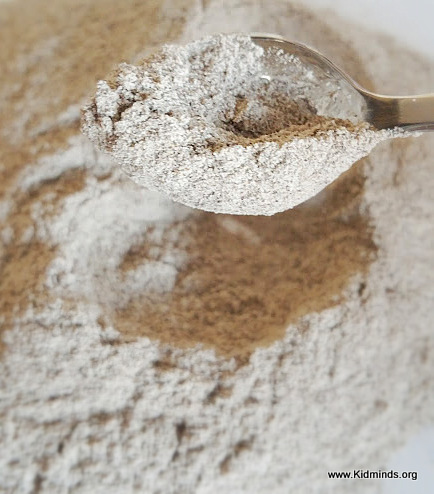 If you are not used to buckwheat flour, you might want to start slow. 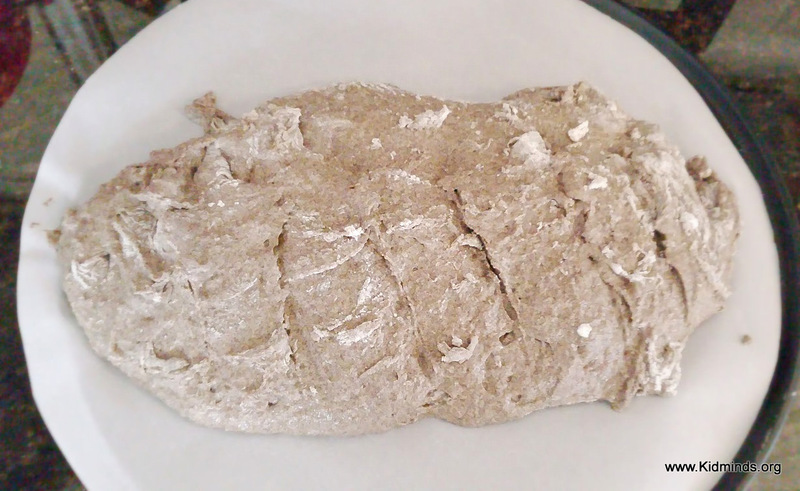 Gradually increase the amount of buckwheat flour as you get used to the flavor. I didn’t think twice about it but my friend tried this recipe and was shocked by the taste. She said she didn’t expect this intense buckwheat-ness. So start with 1/4 cup buckwheat flour and gradually increase the amount to 1 cup. I don’t advise to use all buckwheat flour. 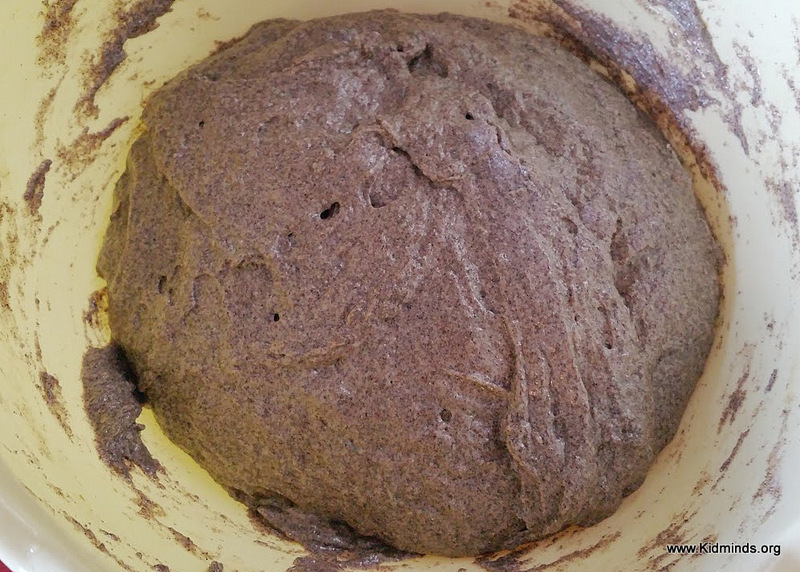 Buckwheat Flour You have a bit of freeway when it comes to spices, of course, but make sure you do use something aromatic and flavorful or you are not going to be happy. Prepare your cookie sheet or pizza stone by laying it with parchment paper. Pour buttermilk, olive oil, and honey in the large bowl. Add all the dry ingredients and mix with a large spoon until all dry ingredients are wet. 5. With clean, dry hands pick up the dough and mold it in the desired shape. Sometimes I go for an oval and other times for a ball. If the dough is too sticky, feel free to add a bit more all-purpose flour to your hands. 6.Bake for 30 minutes and then let stand at least 20 minutes under a kitchen towel. 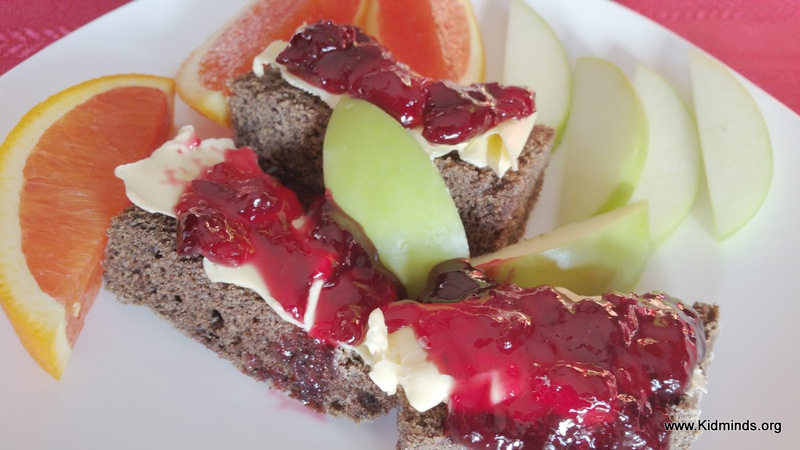 It’s great for sandwiches, but we like it especially well with butter and jam. 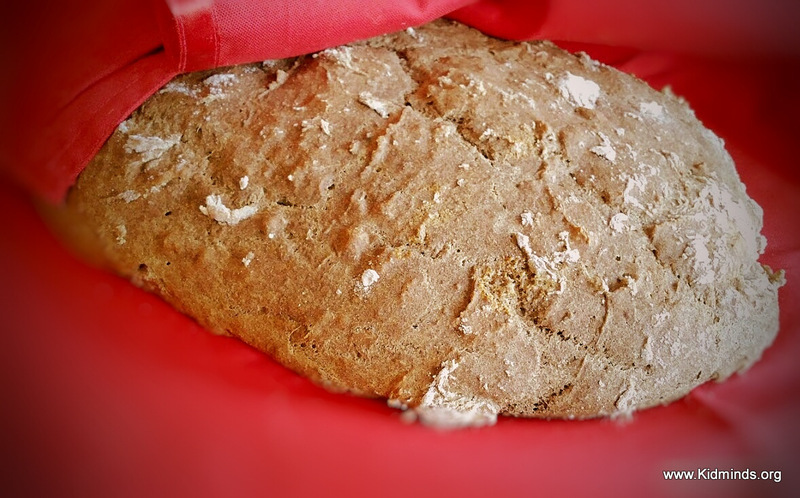 Have you tried baking buckwheat bread at home? i allergy to milk. is it have other ingredient can be replace buttermilk? author.I will make certain to bookmark your blog and definitely will come back someday. 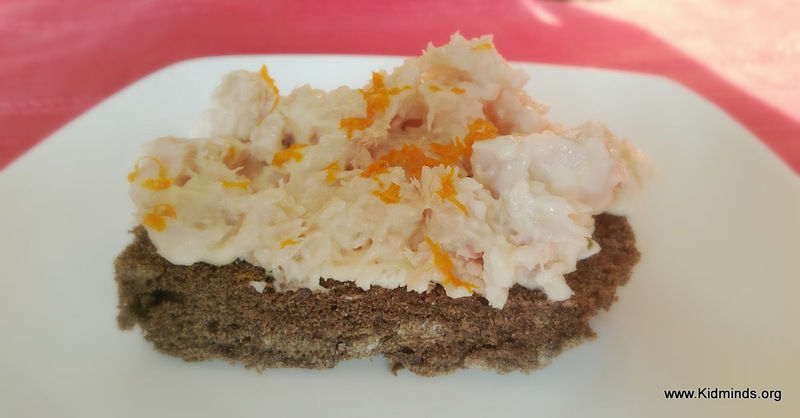 Hey Buddy!, I found this information for you: "Buckwheat Bread – no yeast, no milk, no eggs, no knead recipe". 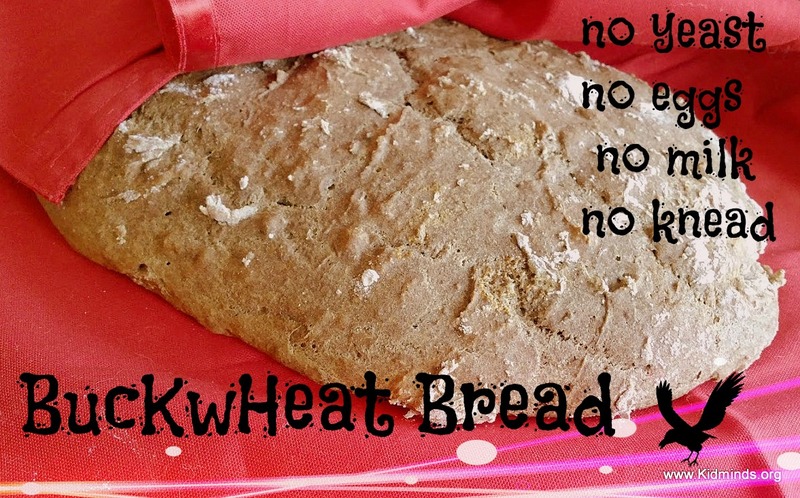 Here is the website link: http://kidminds.org/buckwheat-bread-no-yeast-no-milk-no/. Thank you.